Introduce shapes with flashcards which contain labels and check the vocabulary with picture flashcards. Vocabulary: circle, square, triangle, rectangle, star, heart. Click the image to download flashcards for simple shapes with labels. Click here to download simple shapes flashcards with labels and phonetic transcription. 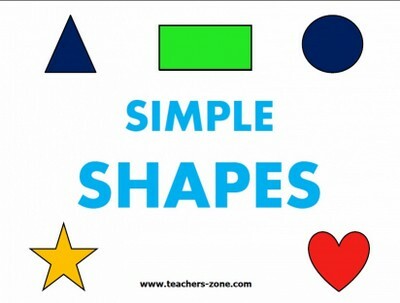 Click here to download flashcards for simple shapes without labels. Vocabulary: circle, square, triangle, rectangle, star, oval, trapezoid, diamond, heart, pentagon, hexagon. Click the image to download flashcards for shapes with labels. Click here to download shapes flashcards with labels and phonetic transcription. 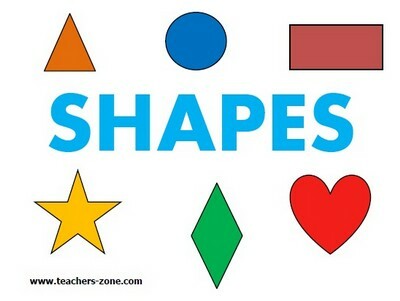 Click here to download flashcards for shapes without labels.